Jews across the world are praying for a miracle. As things go Iran should acquire a nuclear weapon sometime by January 2013 (If not sooner). And it appears that President Sheik Barack Hussein Obama is not only allowing this, but doing it with a sense of glee. Why not? The way the Main Lame Stream Media act, he has already been re-elected to a 2nd term. He doesn’t need the Jewish vote, Jewish money, and can ignore the Jews. Atlanta Jewish Times owner Andrew Adler has come up with a novel idea to prevent Iran from getting a nuclear weapon. He suggests that the Mossad assassinate Obama. 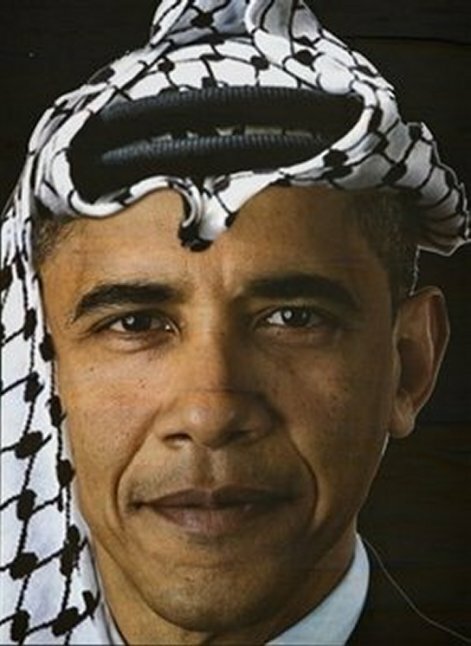 WASHINGTON - The owner of the Atlanta Jewish Times weekly caused an uproar when he suggested that Israel consider “a hit” on US President Barack Obama “in order to preserve Israel’s existence” in case Iran obtains nuclear capabilities. According to Adler, who later apologized for his column, Obama has an “Alice in Wonderland” belief in diplomacy over force. “Yes, you read ‘(option) three’ correctly. Order a hit on a president in order to preserve Israel’s existence. Think about it. If I have thought of this Tom Clancy-type scenario, don’t you think that this almost unfathomable idea has been discussed in Israel’s most inner circles?” He wrote. The publisher’s comments were harshly condemned by Jewish columnists and organizations. “This episode demonstrates just how low our political discourse has sunk,” said Harris. Opher Aviran, Israel’s consul general to the southeastern United States, said he was “shocked” by Adler’s “insane” and “immoral” statement. He said he would publish an apology in his next edition, and that reaction from readers had been overwhelmingly negative. Andrew Adler assumes that Joe (Foot-In-Mouth) Biden would be any better. He wouldn’t. Both are cut from the same cloth and both are waiting for the day that their Muslim friends kill another 7 million Jews. Obama and the Democrats have forgotten the NY 9th and the defeat the Democrats received. While rich liberal Jews are donating to Obama, the average Jewish person is turning from him. Let us just pray that the GOP doesn’t shoot itself in the foot and nominate Ron Paul.